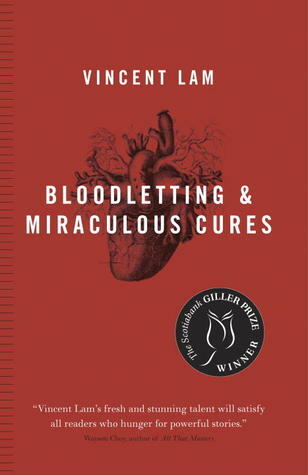 The 2006 Scotiabank Giller Prize Winner, Bloodletting & Miraculous Cures contains interconnected stories revolving around a few main characters as they go from medical school to being practicing physicians. Lam, an emergency room physician himself, writes in what I would call a very natural manner- unfussy, approachable and poised. I will say that I found the chapters, characters, and segments that focused on relationships and unrequited love (between two students who later became doctors), the least compelling of the stories. However, for the most part I found the medical/emergency-centered stories captivating- both distressing and heartbreaking. The stories that I personally found most interesting and well-paced were those about: emergency actions taken during labour; helping patients with perceived mental illness; an inside (eye-opening) study into an overnight shift in an emergency ward; and a terrifying glimpse into Canada’s SARS outbreak. Overall, I found this an illuminating read (one that I still think a lot about) that ultimately offered a fascinating and seemingly unvarnished look into the lives of physicians. If you are looking for a slightly Gothic historical novel to really sink into, then I would highly recommend Setterfield’s debut novel. In a manner that recalls the dark of early fairy tales and the peculiar pull of a hushed vaulted library, the author winds a fantastically rich, tragic, and intense story of family. The story’s narrator, a quiet bibliophile named Margaret Lea is called up unexpectedly to meet with and write the biography of Vida Winter- an extremely popular, acclaimed, and evasive writer. Winter, notoriously private for most all of her life, says that she is finally ready to talk: to tell Margaret the truth of her childhood, her roots, and how she became the writer Vida Winter. What follows is a story of a rather savage, strange and sad life- filled with revelations and trailing shadows. 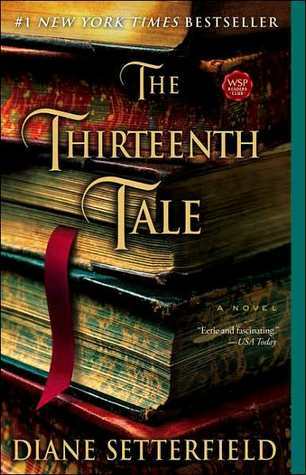 For those readers who enjoy Kate Morton (specifically The Forgotten Garden), along with classics such as Jane Eyre (heavily referenced in this novel), Rebecca, The Woman in White, and books about intense lovers of literature, The Thirteenth Tale might be especially enjoyed. I am quite enamored of this novel; I am so happy to have been introduced to Setterfield’s particular style of graceful, suspenseful and deeply resonant storytelling.